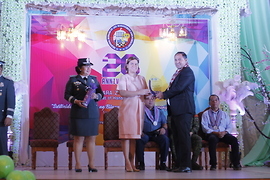 The president of the Social Entrepreneurship Institute, Dr. Aland Mizell, received an award from Davao City Mayor Sarah Duterte-Carpio for initiating College Education Behind Bars. 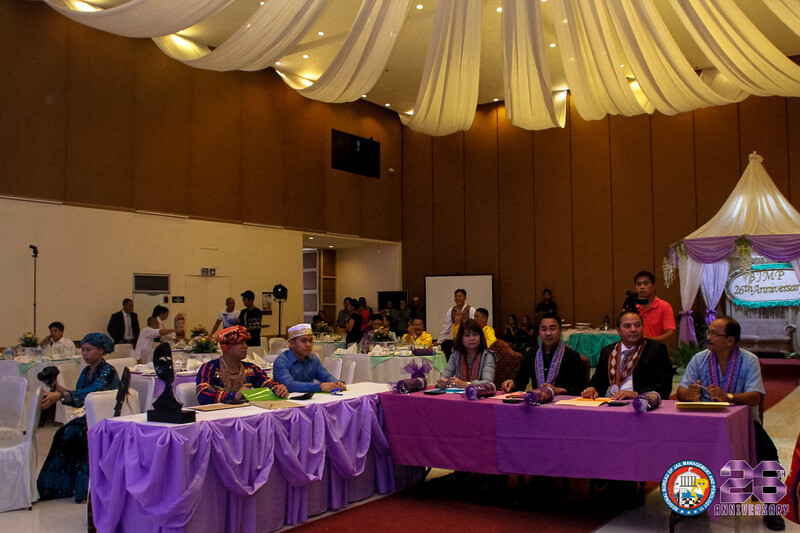 This initiative serves as a nationwide model, having received national attention as the only such program combining education and rehabilitation for prisoners/students in the Philippines and indeed in Southeast Asia. Dr. Mizell was honored for his work as an educator, for his role in founding this innovative program for the incarcerated, and for his effort to show that learning has the power to change lives. 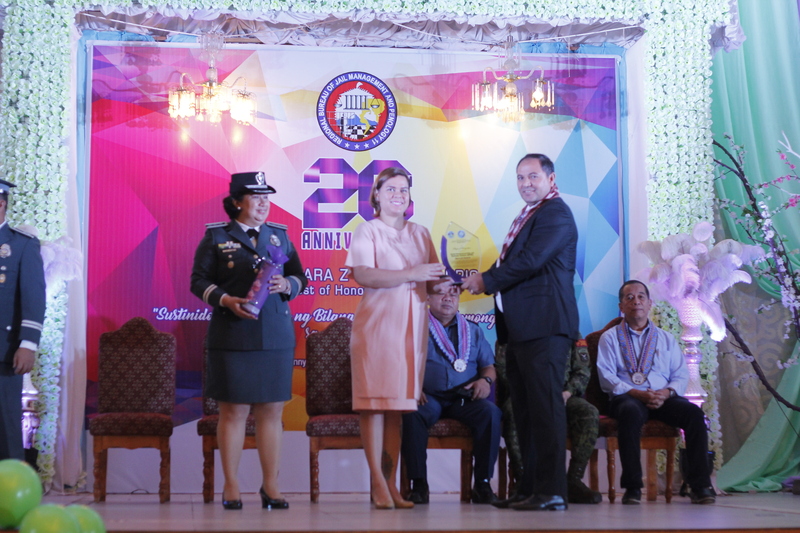 The award was presented during the BJMP’s 26th Anniversary Gala, which was held in Davao City on August 24, 2017. Dr. Mizell’s being selected to receive this award highlights MCI‘s strong commitment to community service and to providing bright and motivated students with opportunities to experience the transformational power of higher education. During the ceremony the Mayor thanked Dr. Mizell for his noble work on behalf of the Davao City community and the Philippines. 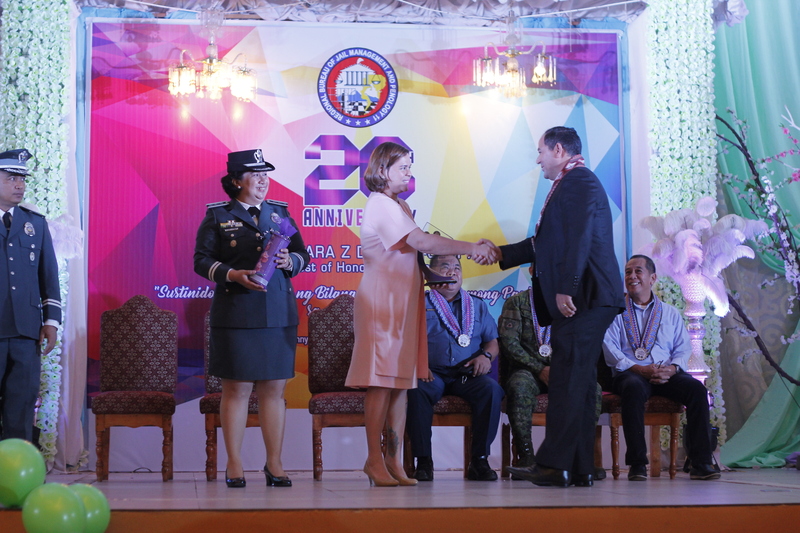 Mayor Duterte said that the rehabilitation programs of the BJMP lead to the reformation of the detainees and help them to become law-abiding and productive members of society once again. The BJMP–Davao regional director, Senior Superintendent Amelia Rayandayan, thanked Dr. Mizell for implementing this model rehabilitation program. She said that increased educational opportunity is key to providing economic stability for both ex-offenders and their families, to reducing recidivism, and to securing long-term success after their release. Dr. Mizell acknowledged that a college degree tears down barriers that block gainful employment and also keeps men and women from returning to prison, although many outsiders fail to recognize this potential. Further, MCI community service-learning projects have given backpacks with school supplies to students in impoverished communities, provided free eyeglasses distribution to the indigent, and offered health clinics and educational projects to the needy. Since 2008, MCI has held weekly forums for students to hear experts in their field such as attorneys, city officials, the mayor, professors, doctors, religious teachers, business men and women, and public service staff and to debate key issues affecting their community, the city, the nation, and the world. An inner-community boys’ soccer team and a girls’ volleyball team provide alternatives to the social ills growing out of poverty. In addition, MCI has partnered with several local universities to bring speakers from the United States, including professors, bankers, government representatives, and business professionals, setting up educational seminars for the university faculty and students and for city leaders. MCI students also have won an award for the Rotaract service-learning project. As a more recent educational endeavor, MCI has contracted with the Philippine Department of Education and Thompson Christian School for MCI’s education majors to tutor in an Alternative Delivery Program (ADM) for high school dropouts and at-risk students, offering mentoring, sessions on study skills, and content assistance on a regular schedule. For this project, MCI won a Department of Education award. MCI partners with U.S. institutions such as Texas A&M University of Commerce, Hunt County Medical Center, Boles Independent School District, and some business establishments in Texas as well as the University of the Mindanao and the University of the Southeastern Philippines in Davao. Before inmate students enrolled in the program, SEI interviewed them about their motivation, length of sentence, and background. USEP administered the admissions exam and screened detainees for basic literacy and readiness for college, using such assessment tools as the Test of Adult Basic Education (TABE) to determine their grade level and vocational assessments needs. Out of the three hundred assessed, seventy passed the entrance exam with forty-five males and twenty-five females qualifying. SEI offers two courses for the first batch leading respectively to a Bachelor of Information Technology (IT) and a Bachelor of Agribusiness. The Social Entrepreneurship Institute (SEI) Offers Prison Rehabilitation and a Senior High Alternative Delivery Mode Education Program in the Ma-a Jail of Davao City for detainees that will serve as a pilot to improve work and life choices after their release. Since the government cannot solve all the social problems and since a comprehensive education can gives students knowledge and skills to improve not only their lives but also those of others, the Social Entrepreneurship Institute gives a second chance to inmate students to graduate from high school and to go through a recovery program. The Davao City Jail currently offers the Department of Education’s Alternative Learning System (ALS) for those who want to complete what was formerly the terminal diploma, but only the first to fourth year (Grade 7 to Grade 10) or junior high (JHS) and not the latter two (Grades 11 and 12) or senior high (SHS). Students in SHS study subjects leading to their career path, receive a high school diploma, and are then eligible for the Education Behind Bars or other college degree program. Without the additional two years of education, they cannot learn skills that can qualify them for employment right after their high school diploma or prepare them for starting a business. Our goal is to increase employment among released prisoners while reducing the prison population in the Davao City jail by a reduction in returnees. Achieving these objectives will help build sustainable public safety that overcomes the long-term negative consequences of criminal punishment and promotes economic improvement in poor communities. Further, the additional education allows inmates to be productive while incarcerated giving them a present hope and one for an improved future. Inmates sign an agreement to enroll in a course and to be monitored for behavior. Advisors will evaluate detainees after completing their courses for their preparation for additional college coursework, transitional employment, and cognitive skills needed for life demands, and the students will be more thoroughly counseled before release. The Memorandum of Agreement for College Education Behind Bars was signed by Dr. Aland Mizell, President of Social Entrepreneurship Institute (SEI), and Attorney Susan Cariaga, Vice-President of SEI; the University of Southeastern Philippine’s President Dr. Lourdes Generalao; and the Chief of the Bureau of Jail Management and Penology (BJMP), J/ Dir. Serafin Petronio Barretto, Jr. CESO IV for a Program on Prison Rehabilitation and College Education Behind Bars on September 28, 2016, at the House of Representatives , Batasan Road, Batasan Hills. Congresswoman Mylene Garcia-Albano of the Second District of Davao City, and Attorney Lily Freida M. Milla CESO IV, Director III, International Affairs, Commission on Higher Education and Davao City Jail Warden JSupt. Grace S. Taculin and Assistant Warden JSInsp. Roberto C. Gotico witnessed the signing in Quezon City.